What services does Warsaw Airport Transfer provide? Our company provides transport services. We specialize in transfers : Warsaw Chopin Airport from/ the centre of Warsaw and Modlin Airpot to/from the centre of Warsaw. Also those of you who are interested in Warsaw sightseeing should find our offer interesting. You just choose the place you would like to see and we simply take you there. Is making a booking complicated? Booking a taxi with Warsaw Airport Transfer is really easy. We just need to know the number of passengers, the luggage to be transferred and the requested meeting point with our driver. How long have you been providing transport services? Warsaw Airport Transfer has been operating since 1990. What airport do you serve? Chopin Airport and Modlin Airport. Our fleet of cars includes saloons, vans and buses. We accept cash payments and all major payment cards. Besides, we have a PayPal account. Yes,you have got such a possibility. You can pay directly to your driver on the day of your journey. What if my flight is delayed? Do I have to pay extra? Before we dispatch a driver we monitor plane arrivals. That is why, we do not charge extra if the flight is delayed. Where am I to meet the driver? The meeting place is specified in the booking process. It is usually the information desk at the airport or the arrivals hall. What if I can't find the driver? or +48 501 097 205 giving your reference number or your name and our staff will surely help you to determine where exactly your driver is. 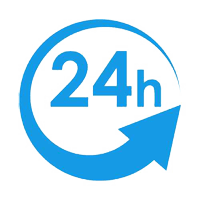 It may be possible that we are able to provide the service within 15 minute following your call. However, the sooner we know the better. 8-12 hours before would be recommended. We made every effort so that our online booking process is clear and easy. However, if you prefer to make a call, you can reach us at +48 509 893 520 or +48 501 097 205. Yes, you can. Call us at +48 509 893 520 or +48 501 097 205.